You spend a little less than your fortune to buy a phone. Yes, priced quite high, smartphones are lifeline of our daily existence. Be it calling a cab to return home late night or getting daily groceries or even planning your solo travel, there is no alternative to phones. But then a slightest carelessness may make you drop the phone. While some survive, most end up with a cracked screen or a damaged camera, as these are the two most vulnerable parts of a smartphone. If not a physical damage that can be seen, there would be instances of a lag in touch sensation or some other issue. Firstly you would struggle to find an authorised service centre that may be too far from your home. While technology is zooming at a lightning speed, phone makers are still lagging behind to provide a better after sales service. And this is the gap, founders Jayant Jha, Ankit Saraf and Anmol Gupta planned to bridge. Started as Gadgetwood in 2013, this start up rebranded itself to Yaantra last year. Researches by the founders revealed that after sales service of samrtphones is not yet organised and the current scenario and infrastructure wasn’t ready to handle the Indian consumers. With Yaantra serving as the perfect partner to therecognised global brands, it helps open a plethora of fresh choices for the Indian customers and gives further boost to our economy. 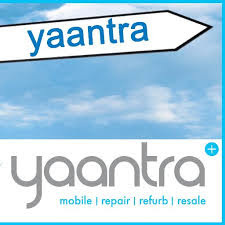 Yaantra started with an ulterior objective to offer doorstep repair services for mobiles, smartphones and tablets to the users in India. Backed by a knowledgeable and certified team of resources, serving customers online as well as directly to their doorstep, this promising start up soon made its mark with its customer-centric philosophy. Yaantra’s successful tie-up with Xiaomi and others, within just a short span of it entering the competitive market, throws light on its future in the business sector. This industry is witnessing sharp growth and will continue to grow for next few years. Indiawill have 1.3 billion smartphones subscribers by the end of 2021, as per Ericsson mobility report. People in Tier 1 and Tier 2 cities spend a lot of time travelling to offices. And that’s where Yaantra’s innovative doorstep service becomes relevant. 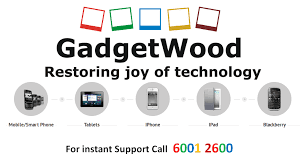 There have been two rounds of funding for the company, with the first being in the year 2014 when Yaantra (still Gadgetwood then) had raised an undisclosed amount of funding from a group of individual investors from India Angel Network (IAN). The investors included Ajai Chowdhry of HCL, Ashvin Chadha and Nitin Singhal of Fresco Global. These funds were primarily contributed towards the strengthening of the core team, upgrading technology and expanding the company’s services to other cities as well. The second funding came in around the month of September in the year 2016, where the company had raised approximately $6 million funding from Carpediem Capital, an India-focused private equity fund, and its investors. The company has successfully employed this funding to create a nationwide network for servicing and selling refurbished mobile devices and to broaden its capabilities to include laptops, wearable tech and LED TVs in the near future.